You are a unique nurse, did you know that? That’s right – each nurse in a special individual who has gifts and talents to offer the world. This next guest reminds us that it’s OK, even necessary, to be ourselves. And why helping a patient with a simple task can be like winning the lottery! 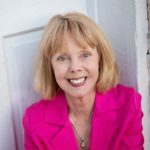 Karen Radtke, MSN, APN, AHN-BC, HWNC-BC is a masters prepared Advanced Practice Nurse (Nurse Practitioner), a Nationally Board-Certified Holistic Nurse, and a Nationally Board-Certified Nurse Coach. She is the owner/director of Integral Health Solutions, with over 20 years of experience as a Nurse Practitioner. When she’s not collaborating with her clients, she enjoys gardening, snowshoeing, natural habitat restoration and raising therapy dogs. You can find out more and connect with Karen via Facebook.